A refrigerator that reads your text messages, a WiFi-enabled slow cooker and a barbecue grill that hears your instructions. They were all on display at last month's International CES, along with a host of other new tech-savvy appliances. Household appliances are the next group of products that will be plugging into the Internet to help consumers save energy and improve their lifestyle. One example is HomeChat, a feature that LG is building into many of its new products. HomeChat uses text messaging to let users communicate with their appliances. For example, you could tell your robotic vacuum cleaner to tidy up the living room before you arrive home from work. Or you might inform your refrigerator that you're leaving for the weekend so it could switch to power-saving mode. 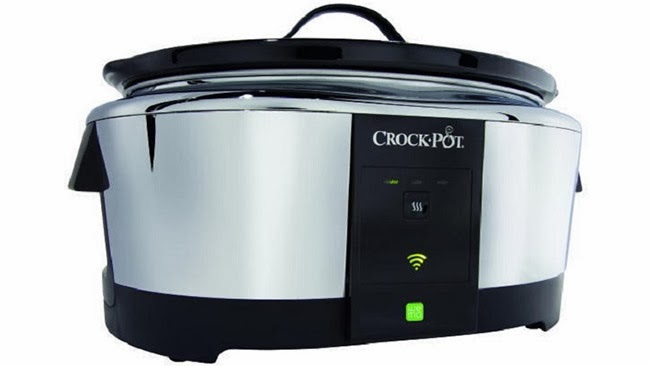 Check out that new connected Crock-Pot and more appliances my latest column at MyWell-Being.com.